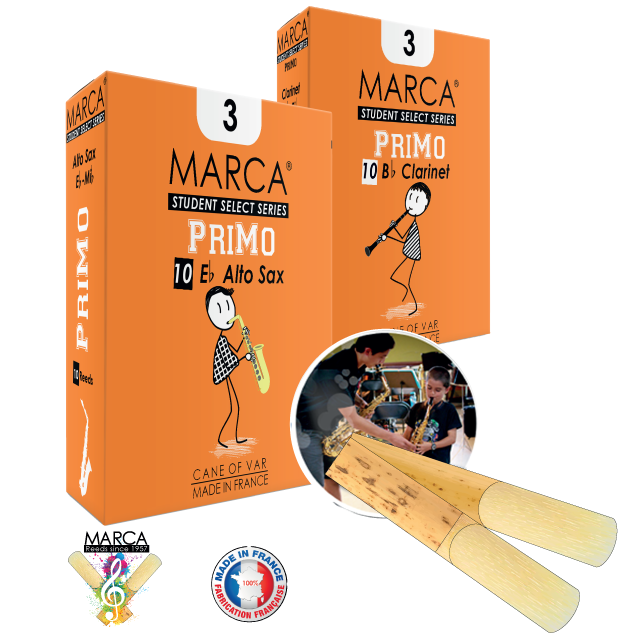 The MARCA PriMos are made with the same quality as all our Professional Reeds. It’s specifically designed for young musicians. The first sensations are essential. 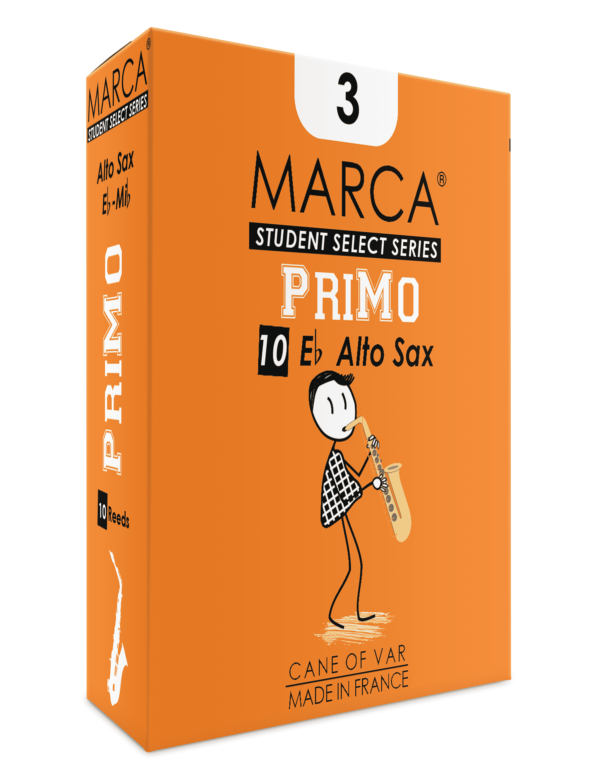 They will appreciate the easy to play and the long last reply of MARCA PriMo. Marca reeds are hand-finished and made from only wild grown cane. High Quality Made and French Tradition Cut.